Charlie Brooker hosts the comedy panel show about the wrong side of life, with guests Graham Linehan, Matthew Crosby and Helen Zaltzman competing to suggest the best in bad ideas. Charlie Brooker hosts the comedy panel show about the wrong side of life. Guests Father Ted and IT Crowd writer Graham Linehan, comedian Matthew Crosby and Sony-award winning podcaster Helen Zaltzman compete to suggest the best in bad ideas. So Wrong It's Right sees Charlie ask three guests a number of questions testing their powers of creativity and revealing the best embarrassing stories from their lives. This week, the panel's worst experiences with a stranger and the best ideas for the worst new gadget are just two of the challenges faced by the panel. Can anyone top Helen's nomination for most annoying modern irritant, 'constructed reality TV'? And will anyone beat Graham Linehan's suggestion for a terrible new gadget, the 'exciting ladder'? 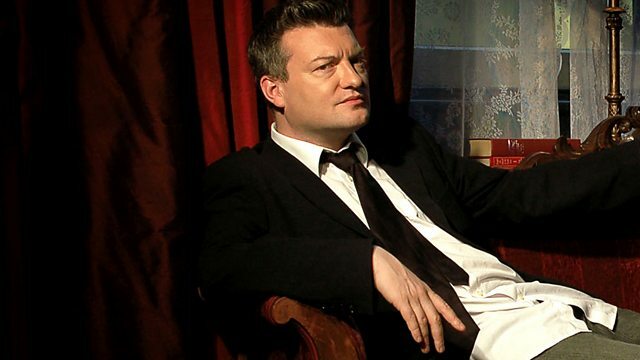 The host of So Wrong It's Right, Charlie Brooker, also presents BBC4s acclaimed Newswipe and Screenwipe series, and is an award winning columnist for The Guardian. He also won Best Newcomer at the British Comedy Awards 2009. A Zeppotron Production for BBC Radio 4.